Women around the world are marching, running for office, and demanding that their voices be heard. Indigenous and rural women, in particular, are calling for the world to recognize and support their role as leaders and human rights defenders. In this context of diverse and growing women’s rights movements, more than 4,300 civil society representatives from 130 countries participated this March in the 62nd Commission on the Status of Women (CSW62)—which focused this year on rural women and girls. Although the Agreed Conclusions adopted by all CSW Member States fell short of what advocates were pushing for, they still represent a shared commitment toward respecting the rights of indigenous and rural women. Throughout the event, participants noted several concrete strategies to move from commitment to action and advance women’s rights on the ground. 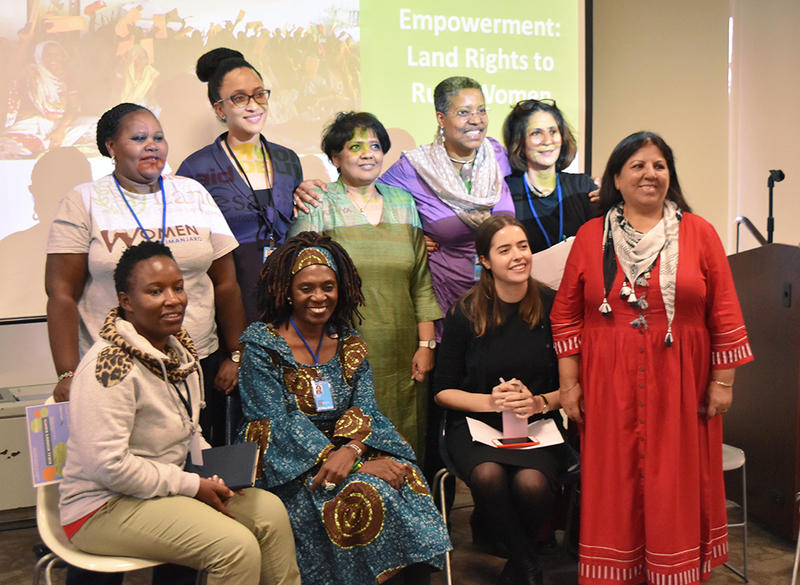 “We need comprehensive legal reforms throughout all laws that affect women’s interactions with and decisions about land and natural resources,” said RRI Senior Analyst Stephanie Keene during a CSW parallel event on the importance of securing land rights for women’s empowerment. “Change starts with the community,” noted Winrose Mwangi, a member of GROOTS Kenya. She also highlighted specific ways that governments and the international community should harness the power of women to drive change, such as by supporting women to gather local-level data, sensitize communities, and bring together different stakeholders to discuss land policies. These calls to action were included in a formal submission of joint recommendations for CSW Member States to take immediate steps toward the realization of existing UN commitments by improving the “quality, legality and effective implementation, participatory nature, and enforceability of women’s rights to land.” Most notably, these include efforts to prioritize the participation of local communities and women’s groups in policy reforms related to land; promote rural women’s and girls’ meaningful participation in decision-making processes at all levels; andork with constituencies to address gender-based discrimination within communities. 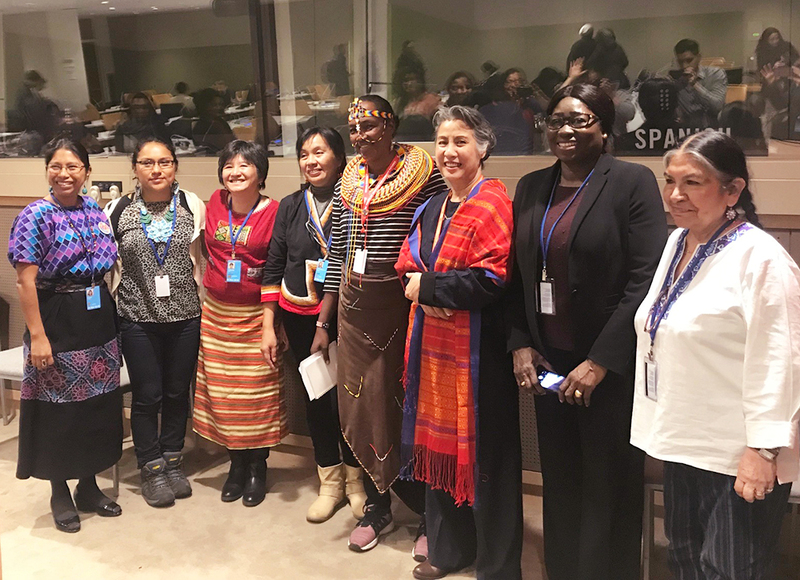 During a side event on the role of indigenous women in achieving the 2030 agenda, participants highlighted the diversity of indigenous women and their unique relationship with the earth. Maria Elena Mangiafico, a representative of the International Fund for Agricultural Development, summarized the specific risks that indigenous women face, including the threats from encroaching development and conservation projects and the increasing erosion of communities’ cultural fabric. “If the collective is destroyed, more conflict will occur [and] there will be more violence for women,” noted Joan Carling, secretary-general of the Asia Indigenous Peoples Pact and Focal Person for Indigenous Peoples Major Group for Sustainable Development. One key solution that emerged from the conversation is the need for international allies and donors to respect the collective rights, right to self-determination, and cosmovision of Indigenous Peoples in their development support. This includes support for traditional indigenous knowledge on livelihoods (e.g. forestry, agroforestry, and weaving) and acknowledgment of indigenous knowledge on conservation and climate change mitigation. Participants also stressed the need to hold states accountable for respecting Indigenous Peoples’ rights to free, prior, and informed consent (FPIC), and the urgent need to have more indigenous and rural women in decision-making spaces at all levels. The topic of human rights defenders was prevalent throughout CSW. While some civil society participants noted the “unprecedented mention of human rights defenders” in the Agreed Conclusions, other advocates argued that pushback from UN Member States including China, Egypt, and Iran resulted in watered down final language. Advocates from the Asia Pacific Forum on Women noted, for example, that their group’s recommendations to specifically mention defenders “working on labor rights, land, and natural resources and in the media” and to “call for ‘robust and practical’ steps to protect women human rights defenders” were ultimately omitted. During one dedicated side event, representatives from UN Women pledged to prioritize this issue in 2018 by strengthening the connection between grassroots groups and the international community; including a dedicated session on the topic in this year’s General Assembly; and pushing for the establishment of a new, high-level commitment and policy around women human rights defenders. About the author: Lindsay Bigda is the Senior Officer for Communications and Advocacy at the Rights and Resources Initiative.